If you are a woman in your late forties or early fifties, you probably know why menopause supplements can be a welcome relief! Menopause is often the bane of a middle-aged woman’s life, especially when symptoms like hot flashes and insomnia are intense and recurrent. Today, however, thanks to research and science, there are some products available that can help ease the distress of menopausal symptoms. Menopause is of course not something that you can prevent; it is a natural occurrence caused by your ovaries reducing the amount of progesterone and estrogen that they make. In other medical circumstances, menopause may be brought on by the surgical removal of one’s ovaries, or by the ovaries failing to function due to treatments like chemotherapy. There are a few things you can do to reduce the risk of intense symptoms during menopause, and reduce the risk of health complications that might occur after undergoing menopause. Quitting smoking helps prevent the early onset of menopause; smokers also have a higher risk of having medical conditions that affect the heart, and osteoporosis. You can also take menopause supplements like Vitamin D and calcium to protect against osteoporosis. Additionally, exercise always helps. It can improve your mood swings, strengthen your bones, and reduce symptoms of hot flashes. A healthy diet in addition to taking naturalmenopause supplements is also a good preventative measure to take. Many menopause supplements are available in pharmacies and health food stores. Most of them will not have any side effects, as the natural ingredients are able to target the symptoms while also improving your overall bodily health. The problem with some medical treatment options is that are sometimes adverse side-effects. For example, hormone replacement therapy used to be considered a good treatment option, but unfortunately researchers have found that HRT can increase the risk of strokes, heart disease, blood clots, and breast cancer. Thus, taking non-drug menopause supplements can reduce your symptoms, while ensuring that you do not increase your risk of other medical problems. There are many natural alternatives, which is good news for those of us who are conscious about the foods and substances that we choose to ingest. Natural remedies may also help reduce the unwanted side effects that have been caused by other treatments. Herbal supplements like black cohosh, chasteberry, pycnogenol, and red clover have been found to effectively relieve symptoms like depression, headaches, fatigue, and hot flashes. It is important to find out, when looking at various menopause supplements, whether the substance or product has been clinically tested. Compare the various supplements, and talk to a health care professional who will be able to advise you on which supplements are safe to try. Remember that individual bodies will respond to different types of herbs and treatments, so care is always advised, and it may take some time to find the supplement that works best for you. Dietary supplements also have a positive effect for many women. Consuming foods with soy and flaxseed provide your body with estrogen-like chemicals that can help relieve symptoms. Foods like tofu, soy milk, nuts, and tempeh are all good sources from which you can obtain soy. 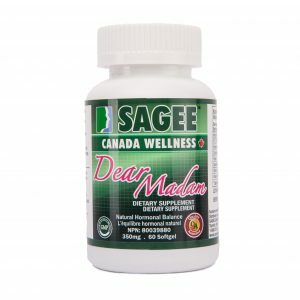 Like many herbal menopause supplements, Dear Madam is designed to relieve symptoms of menopause. It can also be used for hormonal imbalance for symptom such as menstrual pains, irregular periods, etc. Produced in a GMP-approved facility, Sagee is a thoroughly researched, safe supplement to consume. It contains no caffeine, no western drugs, no pesticides, and there is no risk of addiction to Dear Madam. Additionally, there are no long-term effects of taking this healthy supplement. 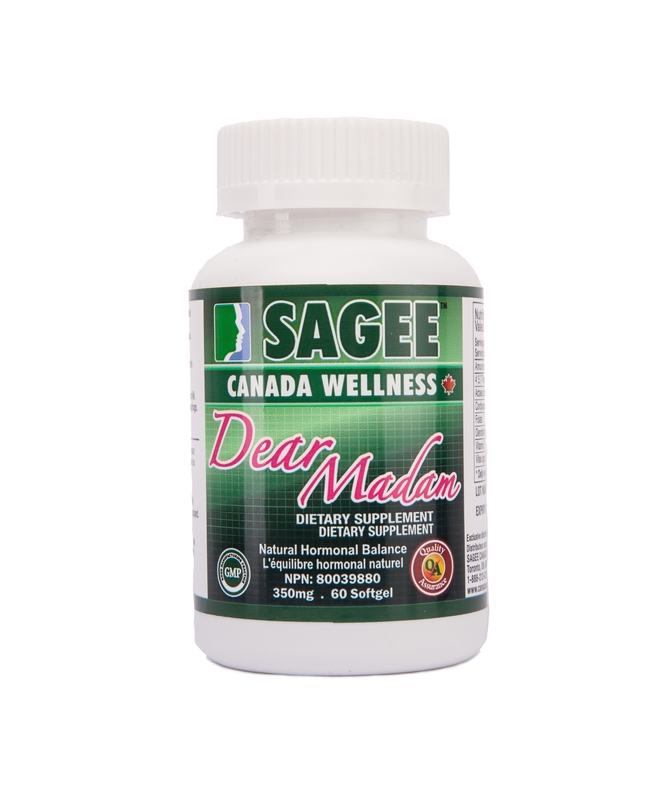 Try Dear Madam today.